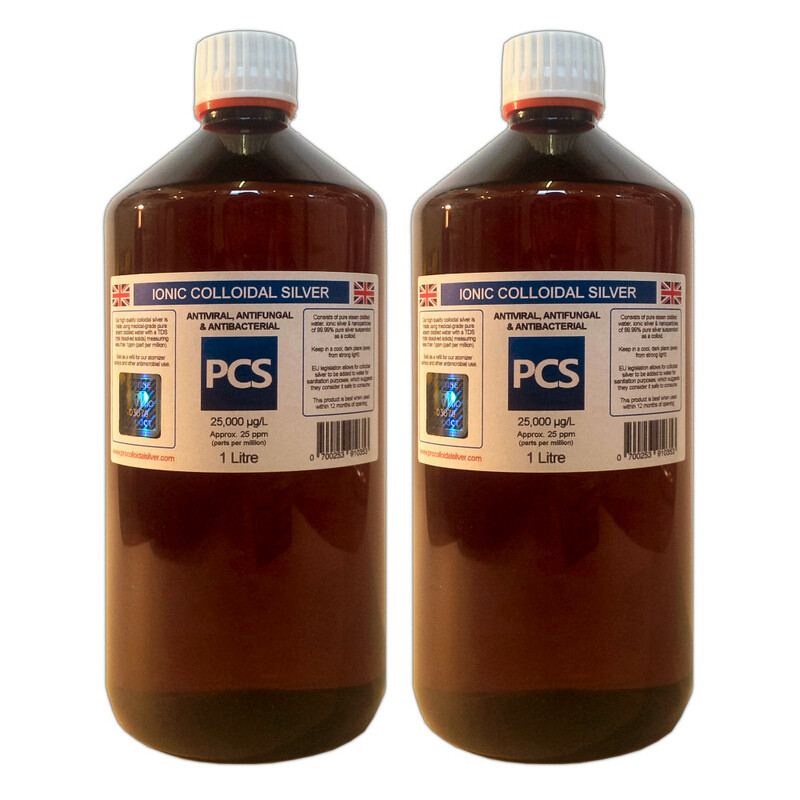 2 x 1L bottles (2L total) of premium quality colloidal silver made to approx. 25ppm (parts per million). Items are individually bagged in tamper-proof heat sealed bags and sent via UKMail Next Day. Packages are secured with anti-tamper security seals for complete peace of mind.